Who invented the thermometer? The name of the person credited with inventing the thermometer is Daniel Gabriel Fahrenheit (1686 - 1736). Gabriel Fahrenheit is not only famous as the German inventor of the thermometer but also as a physicist, engineer, and glassworker. When was the thermometer invented? 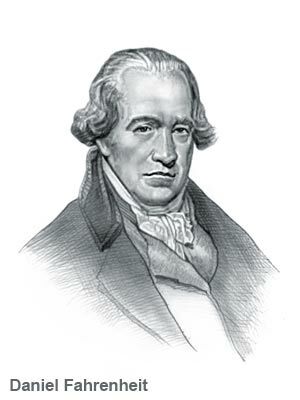 Gabriel Fahrenheit invented the thermometer in 1714, during the Industrial Revolution period of invention (1700 - 1860). The temperature scale, Fahrenheit was named for Gabriel Fahrenheit in 1753. Definition of the thermometer: The thermometer is defined as an instrument for measuring temperature, commonly consisting of a closed, graduated glass tube in which a liquid, typically mercury or colored alcohol, expands or contracts as the temperature increases or decreases. Fact 1: Who invented the thermometer? Taking the temperature of a patient provides clues to the onset of infection or inflammation. Any change in a patient's temperature may indicate if the treatment being used is actually working. A body temperature of 98.6 degrees Fahrenheit or 37 degrees Celsius is considered normal. Fact 2: Who invented the thermometer? The thermometer was invented by Daniel Gabriel Fahrenheit in 1714 during the Industrial Revolution era of inventions (1700 - 1860). Fact 3: Who invented the thermometer? In 1664 the Medici family, centered in Florence, Italy, sponsored the construction of the meteorological device known as the Little Florentine Thermometer which was used to collect daily temperature observations creating the first European weather service. Fact 4: Who invented the thermometer? Prior to the invention of thermometer in 1714, a device known as a thermoscope had been invented by Galileo Galilei (1564 - 1664) in 1593 that allowed temperature variations to be measured. The Galileo Thermometer was limited as an exact temperature in degrees could not be measured. Fact 5: Who invented the thermometer? In 1612, the Italian inventor Santorio Santorio (1561 - 1636) invented the first clinical thermometer that was designed to be placed in a patient's mouth for the purpose of taking temperature. Santorio Santorio was the first inventor to place a numerical scale on his thermoscope. Fact 6: Who invented the thermometer? In 1654 the Italian scientist Ferdinand II, Grand duke of Tuscany (1610-1670), invented the sealed liquid-in-glass thermometer, which had an alcohol filling. His thermometer, together with the devices invented by Galileo Galilei and Santorio, were inaccurate and there was no standardised scale in use. Fact 7: Who invented the thermometer? Gabriel Fahrenheit was the first to make a thermometer using mercury. Improved glassworking techniques together with the more predictable expansion of mercury led to the first Standard Thermometer Scale and a much more accurate device. Fact 8: Who invented the thermometer? The inventor of modern thermometer, Daniel Gabriel Fahrenheit, was a German although he was born on May 24, 1686 in Danzig (Gdansk), Poland, but lived for nearly all his his life in the Dutch Republic. He died on September 16, 1736 in The Hague, Holland. Fact 9: Who invented the thermometer? The early years of Gabriel Fahrenheit were spent in Danzig (Gdansk), Poland. His father's name was Daniel Fahrenheit who was a trader who moved around the cities of the Hanseatic League a confederation of merchant guilds established by the German House of Hanse. Fact 10: Who invented the thermometer? His mother's name was Concordia Schumann Fahrenheit. Gabriel was the eldest of a family of 5 children (2 boys and 3 girls). Fact 11: Who invented the thermometer? Gabriel Fahrenheit was educated at home but tragedy struck the family in 1701 when both of his parents died after consuming deadly poisonous mushrooms. known as Dead Cap. Fact 12: Who invented the thermometer? At the age of 15 years old Gabriel Fahrenheit was sent as an apprentice to a merchant who taught him accounting and sent him to Amsterdam to complete his apprenticeship. Fact 13: Who invented the thermometer? Gabriel Fahrenheit wasn't interested in becoming a merchant. He had developed a passion for science and inventions. He neglected his training and punished by being ordered to leave Amsterdam. He gave up the apprenticeship and began travelling around Europe visiting various cities including Berlin, Leipzig, Dresden and Copenhagen. Fact 14: Who invented the thermometer? Gabriel Fahrenheit was fascinated by the invention known as the Little Florentine Thermometer. He began to formulate a plan to manufacture and sell this type of meteorological thermometer together with barometers, altimeters and hydrometers. Fact 15: Who invented the thermometer? In 1708, whilst he was in Copenhagen, Gabriel Fahrenheit met a Danish astronomer called Ole Romer (1644 - 1710). Ole Romer used a mixture of alcohol and water, in the form of wine, creating the spirit-of-wine thermometer. Ole Romer had developed one of the first calibrated temperature scales that was based on the freezing point of pure water being 7.5 degrees and the boiling point of water as 60 degrees. Fact 16: Who invented the thermometer? Gabriel Fahrenheit adopted the Romer method which had used a calibration with two fixed points - the melting temperature of ice and human body. Gabriel Fahrenheit went on to improve the invention using the newly discovered fixed points to devise the first standard temperature scale for his thermometer ranging from 0 to 212 degrees. Fact 17: Who invented the thermometer? Gabriel Fahrenheit invented the mercury thermometer in 1714 replacing the alcohol (wine) with mercury which led to the invention of the mercury thermometer. Mercury was easily visible, more durable and could measure temperature quickly and precisely. Fact 18: Who invented the thermometer? In 1724 Gabriel invented the Fahrenheit Scale, that we use to this day. He divided the freezing and boiling points of water into 180 degrees and chose 32 degrees as the the figure for the lower fixed point. The point of 32 degrees produced a scale that would not fall below zero even when Gabriel Fahrenheit measured the lowest possible temperatures that he could produce in his laboratory using a mixture of ice, salt and water. Fact 19: Who invented the thermometer? Following his invention of the famous Fahrenheit scale, Gabriel Fahrenheit elected a Fellow of the Royal Society in recognition for his achievement. Fact 20: Who invented the thermometer? Gabriel Fahrenheit never married and died on September 16, 1736 in The Hague. Fact 21: Who invented the thermometer? In 1742, six years after the death of Gabriel Fahrenheit, a Swedish scientist named Anders Celsius (1701-1744) devised a thermometer scale dividing the freezing and boiling points of water into 100 degrees. Anders Celsius chose 0 degrees for the boiling point of water, and 100 degrees for the freezing point but a year later, Jean Pierre Cristin (1683-1755) inverted the Celsius scale to produce the Centigrade scale used today (freezing point 0°, boiling point 100°) which we use to this day. Fact 22: Who invented the thermometer? In 1848 Sir William Thomson, Lord Kelvin of Scotland (1824 - 1907) proposed the absolute temperature scale or Kelvin Scale with zero degrees being the theoretical lowest temperature possible where molecular motion ceases. Who invented the Thermometer - Daniel Gabriel Fahrenheit - Inventor - Invention - Definition - Meaning - Famous - Farenheit - Important - Thermometer History - Timeline - Innovation - Significant - Development - Medical - First - Definition - Kids - Farenheit - Facts - Information - Info - Who invented the thermometer - Dates - When - Why - Impact - Purpose - Use - New - Old - Amazing - Best - Farenheit - Definition - Meaning - Awesome - Cool - Industrial Revolution (1700 - 1860) - Farenheit - History - Thermometer Timeline - Who invented the Thermometer?